Born to Rev. Paul Schroeder and Marie Georg Schroeder on Oct. 4, 1935, in Stover MO, he graduated from St. Francis High School in St. Francis, KS. As an adolescent he worked on farms to help the family during the depression. Upon graduation from high school he served in the army. Upon discharge from the Army he attended Kansas State University, in financial accounting. During his college education, he started working for J.C. Penney’s for which he worked for 17 years. Ed was united in marriage to Margaret McKnight on July 11, 1959. Prior to moving to Loveland the couple lived in Junction City, KS, Kansas City, MO, Omaha, NE and Lakewood, CO. In 1973 he purchased Loom and Leather, a men’s clothing store in downtown Loveland and moved to Loveland. Ed worked over 43 years as a businessman in downtown Loveland. Other of his businesses included: Loveland Vacuum and Loveland Pawn. 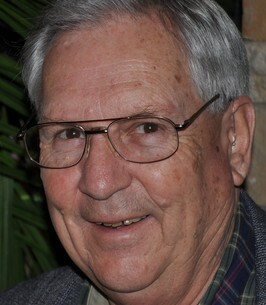 During Ed’s years in Loveland he was a member of Zion Lutheran Church, and sang in the choir; Ed enjoyed socializing with friends, playing golf and being part of the downtown community. Preceding him in death, his wife, Margaret, three brothers, Paul, Walter, Alvin and a sister Margaret. He is survived by three sons, Curtis Schroeder and wife Debora of Longmont, Michael and wife Le of Chandler, AZ, and Eric and wife Kelly of Greeley; and three sisters, Clair Pankratz of Aurora, Wilma Nelson of Westminster and Anne Calvert of Dallas, TX and five grandchildren, Christopher and Andrew (sons of Curtis and Debora), Anthony (son of Michael) and Jeremy and Alyssa (children of Eric and Kelly). A memorial service will be held at Zion Lutheran Church, 815 E. 16th St., Loveland on January 4, 2019 at 11:00. Memorials may be sent to Zion Lutheran Church endowment fund or a charity of your choice. To send flowers to the family of Edward C. Schroeder, please visit our Heartfelt Sympathies Store.